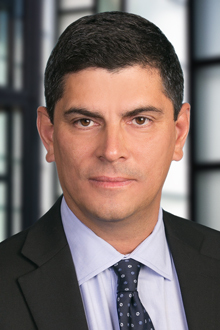 Chris Rodriguez is a partner in the Sacramento office of Lewis Brisbois and a member of the Complex Business & Commercial Litigation Practice. He joins Lewis Brisbois after having served as the managing partner of the Sacramento Office of Pillsbury Winthrop Shaw Pittman for the past several years. As a partner in the Commercial Litigation Practice, his practice focuses on financial services and real estate litigation, disputes involving California state government agencies, government contracting and construction disputes, and healthcare litigation. Mr. Rodriguez has successfully represented clients, including some of the world’s largest companies, in commercial litigation, including writ proceedings, jury trials, bench trials and arbitrations in state and federal trial and appellate courts. He has also successfully litigated numerous writ of mandate proceedings, including public contracting bid protest matters and complex environmental litigation under the California Environmental Quality Act (CEQA). He also works hard to keep his clients out of the courtroom, advising them on a wide variety of legal issues involving regulation of industry by California state government, including construction and refinery regulations, as well as issues arising under California’s Administrative Procedures Act and Public Records Act. He takes pride in offering clients practical advice and insights that allow them to make wise business decisions and avoid unnecessary expense and litigation.